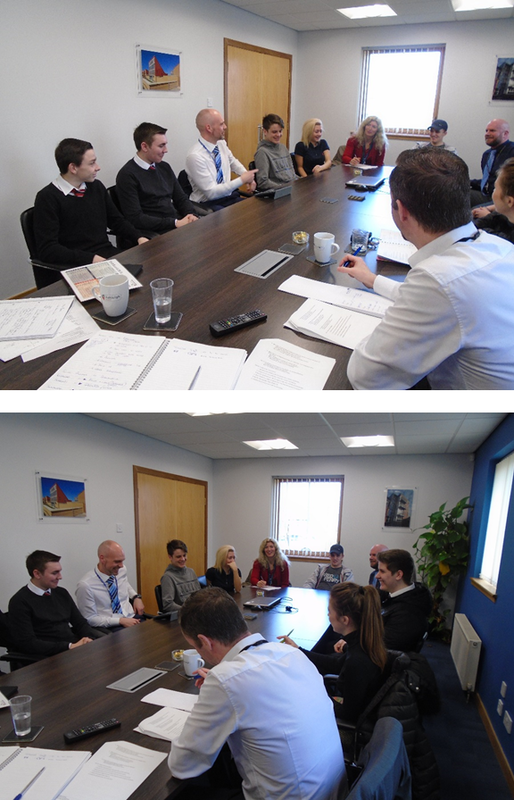 Ashleigh Building invited pupils from Ayrshire Secondary Schools to participate in a discussion about how we can improve our presentations at Careers Events. We had pupils from St Joseph’s Academy, Kilmarnock and the North Ayrshire Outreach Program, along with Nicola Dillon from the Investors in Young People and Tony McCafferty & Emma Hutchinson from the Ayrshire Chamber of Commerce. We got feedback from the pupils on what information they would like to be given at careers events and the best way that this could be delivered.